Old Skool mtb accommodation is a converted village school, originally built in 1910. The conversion to its current form was completed in 2013. 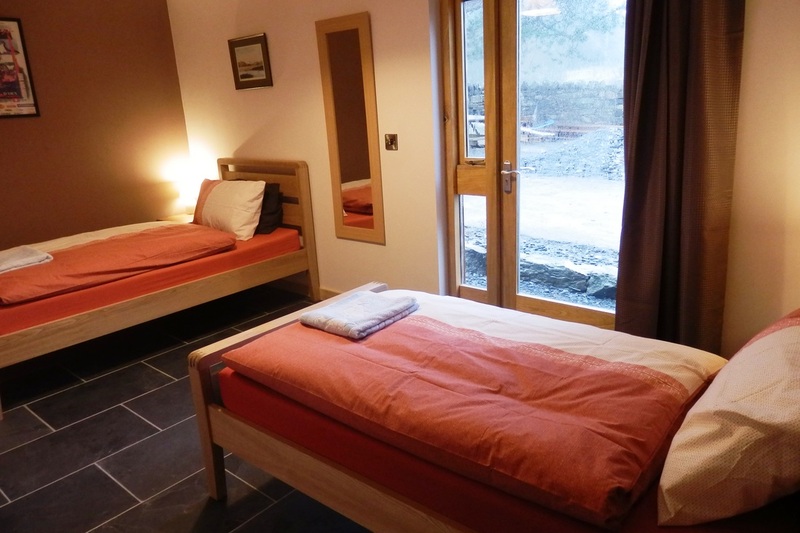 The accommodation consists of five twin rooms, all en suite with wifi throughout. 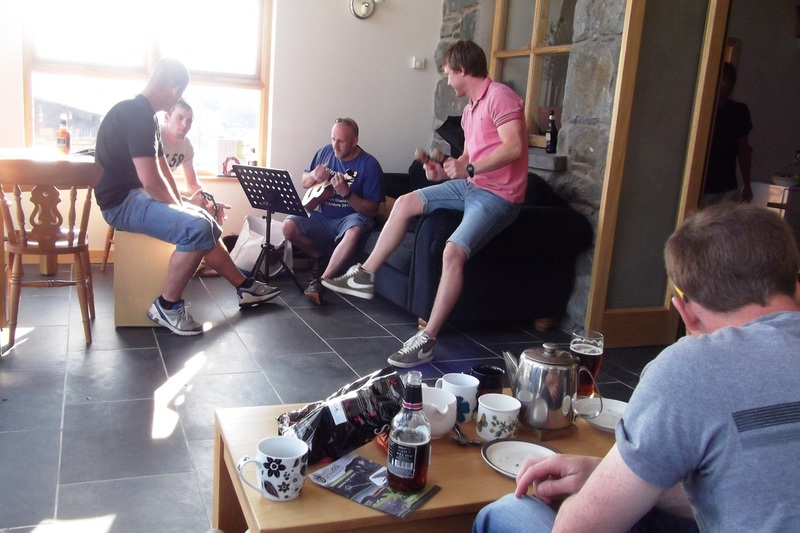 Guests have access to all communal areas and are welcome to bring their own supply of alcohol or other refreshments. All bedrooms are equipped with comfortable beds, clothes rails, televisions, linen and towels. All bedrooms are en suite with their own shower cubicles. A large comfortable sun room, ideal for chilling out for a chat and a drink after a long day on the trails. Lounge on our comfy sofas or maybe enjoy a game of cards around the table. 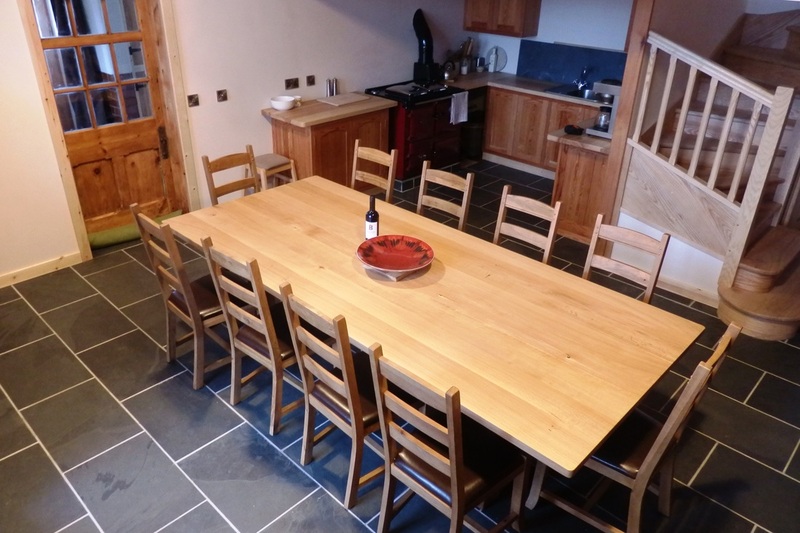 A beautiful oak banquet table provides a great centre piece for this room where all your meals will be served. There is a fridge to keep your post ride beverages and a kitchen area with access to a kettle & coffee maker, as well as an endless supply of cake. With three large four seater sofas there is plenty of room for everybody to sit and watch TV in comfort. Plenty of films are available or you can link up your lap top to watch the GoPro footage from your day on the trails. 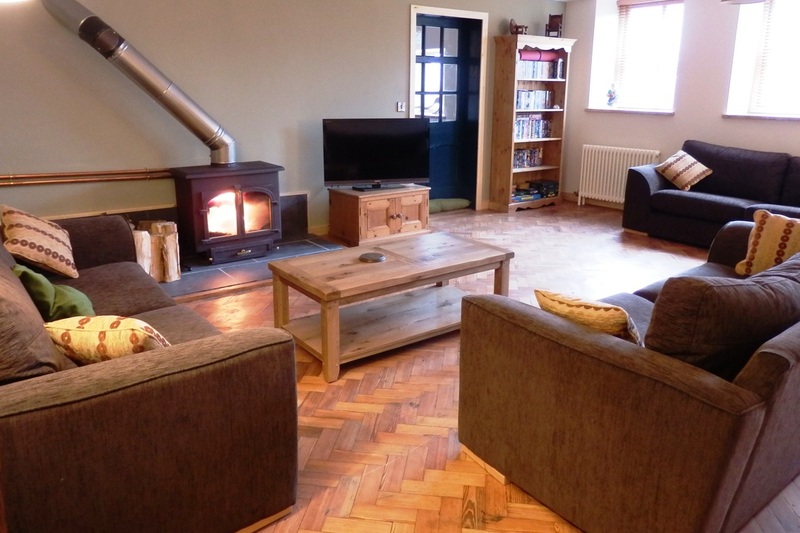 The cosy wood burner is perfect to warm up in front of on a winter’s day. 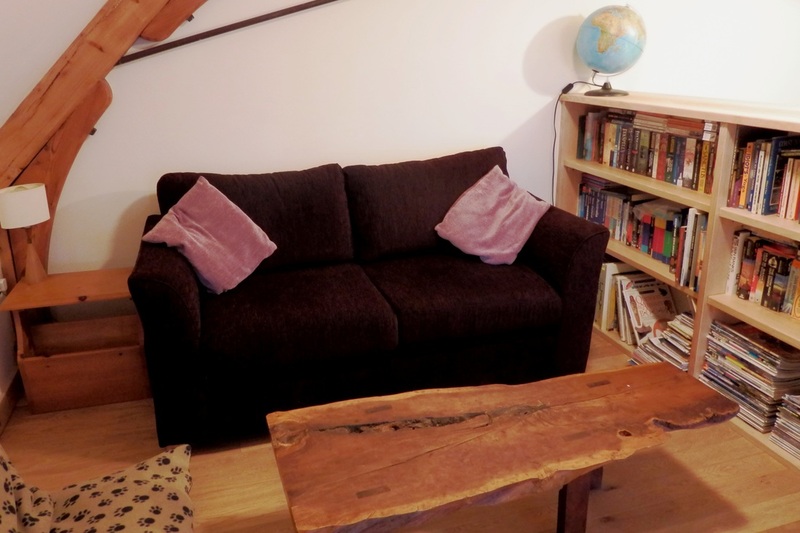 The perfect little space if you want some time to yourself, reading or catching up with those pesky work emails. A secure, alarmed shed large enough to store everybody’s bikes safely. There is access to a range of tools if your bike needs maintenance at the end of the day. 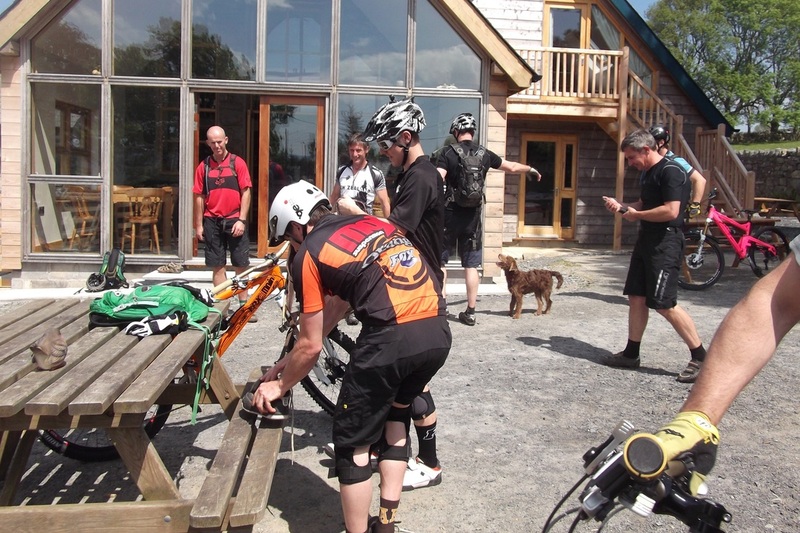 There are bike wash facilities and a small selection of spares to purchase if needed. There is plenty of room outside for all that bike tinkering everybody enjoys. Outdoor seating is available if you fancy a beer in the sun to end your day. There is plenty of private parking available for guests.